Passersby have been taking a trip down memory lane as demolition work revealed a cross section of the former swimming pool at Temple Park Leisure Centre. The pool closed in October 2013 and work began to demolish the area in November. 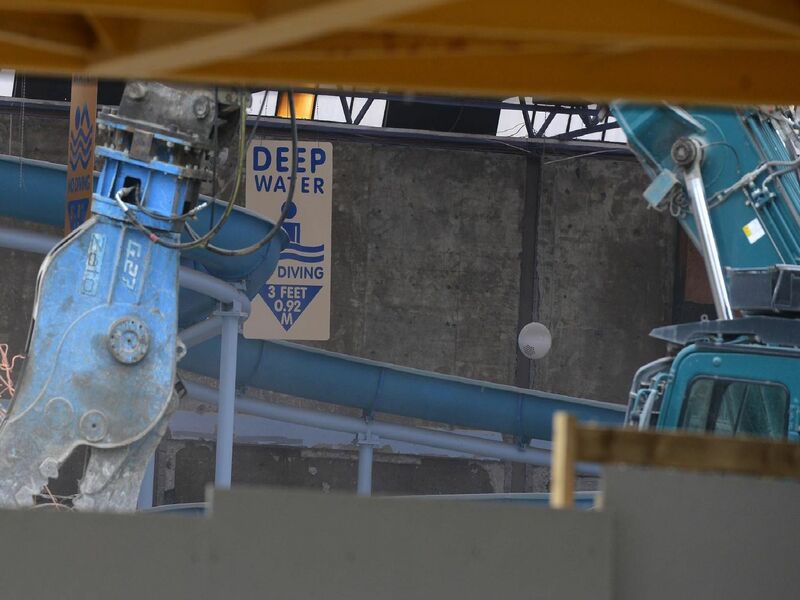 The aquablaster water slide, deep end signs and overhead pipes are among the features of the pool visible today as work continues.